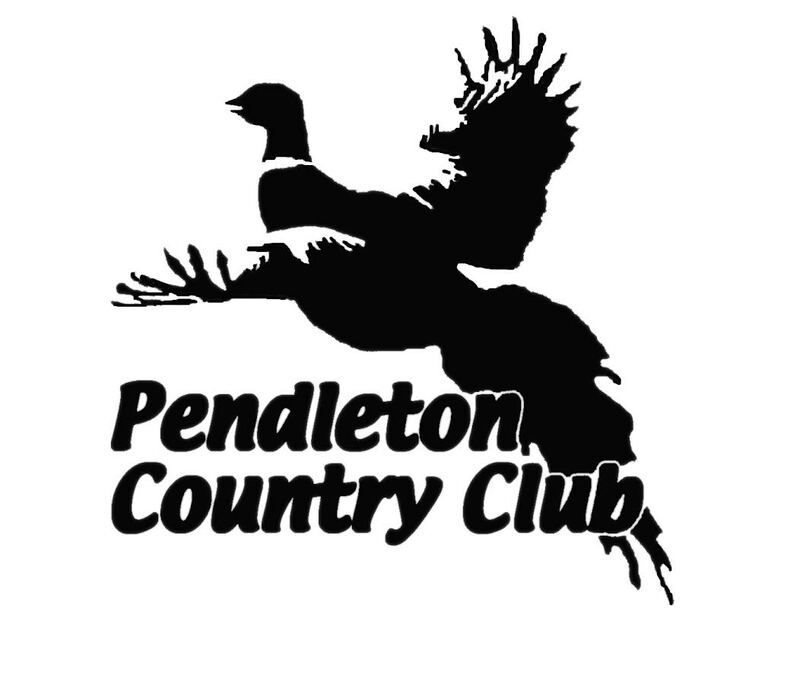 PCC has a friendly and active membership that take pride in their ownership in Pendleton Country Club. Great Playing Conditions: Members and guests enjoy our great tree lined golf course, especially appreciating our greens that average a speed of 10-11 on the stimp meter. The golf course is fun and playable yet still challenging to golfers of all abilities. Reciprocal Privileges: PCC has 17 sister courses where members can play and pay no green fees. Many of these clubs are private and offer great golf and dining at virtually no cost to PCC members. Full Service Pro shop: Features the latest and greatest in golf equipment, apparel, and accessories. As a member of PCC, you will have no need to shop at retail stores or online. PCC beats the rest by offering competitive pricing, free club-fitting, demo days, warranties and returns, and great customer service. Members receive a 10% discount on all shop purchases. Dining Facilities: If it’s an after work cocktail, an afternoon luncheon with a client, or a weekend with the family, Pendleton Country Club has just what you need. Our bar and dining room are newly remodeled and sit overlooking the beautiful Birch Creek Valley and our PCC Golf Course. Our friendly helpful staff is waiting to tend to your special needs. Monthly planned events allow you and your family to take full advantage of the services provided. We can even fill your growler in case you want to have a cold beer when you get home. Plus, to show our members how much we appreciate them, we offer a 10% discount on all food & beverage purchases. Swimming Pool: We have a private swimming pool and relaxation area connected to our club house. It’s the perfect place for families to spend quality time during the heat of the summer. PCC Members Only!!! Fitness Center: Our newest addition at PCC is our 1000 square foot indoor fitness center. The fitness equipment offered features an elyptical, fitness bike, crunch machine, universal gym, bench, and a variety of barbells and dumbbells. All PCC memberships include use of the fitness center. The fitness center is for member use only and is accessible 24-hours via a code lock. Q. What are the benefits of a golfing membership at PCC? A. Golfing members have full use of the entire facility including the golf course, fitness center, swimming pool, and clubhouse. Q. Are there any green fees after I join? A. All memberships, excluding social, offer golf with no additional green fees. Q. How many members can the Pendleton Country Club have? A. The board of directors of Pendleton Country Club have set a limit on membership to 450 including Proprietary, Associate, Junior, and Non Resident membership brackets. Q. What is the average pace of play for golf? A. Our pace of play policy states that all golfers must play at a pace of 2 hours for 9-holes, with a total 18-hole time of 4 hours. However, many of our golfers play much faster than this. Our average pace of play (including weekends) is 3-hours 15-minutes for 18-holes. Q. Is there a dress code at PCC? A. Yes we do have a dress code for our clubhouse and golf course. No tank tops are allowed at PCC. Men must wear a collared shirt at all times. Jeans are allowed. Q. Does PCC offer member tournaments? A. PCC has at least one member event each month during the golfing season. We have team and individual events that offer great competition for members of all ability levels. All of our events have gross and net payouts and offer handicap flights. We also offer weekend pot games, where golfers can compete in a very laid back, fun format. Q. Are there golf instructors at PCC? A. PGA Head Professional Tyler Brooks and Assistant Professional Chris Smith are available for golf instruction daily. Men’s and ladies’ golf clinics are also offered throughout the year. Q. What are the hours of the fitness center and swimming pool? A. The swimming pool is open from 10am to dawn during summer months. The fitness center is open 24 hours a day year-round. Q. What are the benefits of a social membership at PCC? A. Social members have full access to the clubhouse, fitness center, swimming pool, and social activities. However, there are no golfing privileges. Q. What social activities are offered? A. PCC offers a variety of social activities throughout the year. In the offseason, we offer monthly potluck dinner nights where members have an opportunity to meet for a relaxing evening. PCC also offers monthly dinners including our annual crabfeed and steak and seafood feeds. November through April, PCC offers weekly Texas Hold’em games. Players can win cash prizes, as well as points that go towards a season ending playoff event. PCC also has a very active ladies club that host a variety of yearly events including: wine tastings, martini parties, and card games throughout the season. Contact Chris Stoops for more information on membership.